The Southern Black Hills Water System and Site Work Specialists completed Phase I of its plan to provide water to more rural. 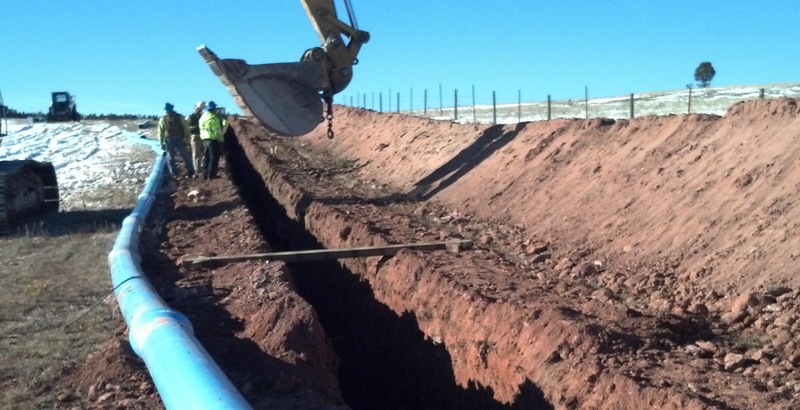 The project included an underground storage tank constructed north of Hot Springs, SD. The tank is then filled from a well, where it is then gravity-fed to customers in the southern Black Hills. The water line continues for 60 miles along Argyle Road to Highway 89 and then north toward Pringle, SD.